Today I am going to tell you about How to stay calm or stress free in your life or in stressful situations. Friends, life is short and with every passing moment it is becoming even shorter so let us not ruin it by becoming a victim of stress and tension. Just to remind you that stress and tension are the main causes of various health problems, such as high blood pressure, heart disease, obesity and diabetes. In this article I will tell you some useful tips on how to stay calm which will help you to counter stress and you can easily remain calm in tough situations and day to day life, which will make your life easier and happier. While going through the article you may feel that you are already aware about many of the tips which I am providing here but purpose of this article is to bring most of them together and to remind you again how important these simple tips are for you. 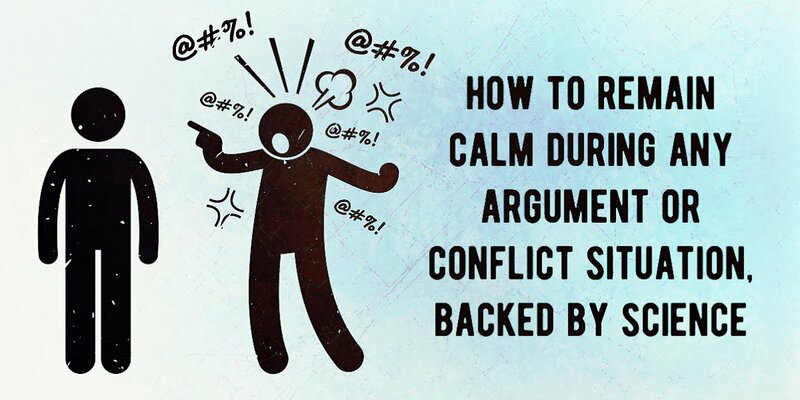 If you are in argument with someone and the argument get heated it is better to stop interacting with the person or the stressor. You can politely say “I need to take a break and we will discuss after some time”, take a break, take a walk, breathe deeply to make yourself normal and calm and avoid the discussion further unless it is really required. Please remember, there are many people who like to indulge in arguments and feel pleasure to win over others in argument. My suggestion is better to stay away from such people and try to remain with such people who really care for you, understand you and give proper feedback to you for improvement. You may not be aware but it is scientifically proven that heated argument, tense situation or anger stimulates the release of hormones like adrenaline (a hormone which increases rates of blood circulation, breathing, and carbohydrate metabolism) which constricts (make smaller) our blood vessels, increases our heart rate and makes our breathing rapid and shallow (shallow breathing means less oxygen reaching your lungs). So next time when you are in heated argument quickly remember what I have written here and stay away from the argument. Several studies have proven that regular physical workouts such as exercises, running, sports, aerobics, weightlifting, yoga etc. can make you feel calmer and happier overall. You can choose any good physical workout of your choice and key is to do it on a regular basis. It will not take much time of yours, 30-40 minutes of physical workout everyday can make you feel relax and calm throughout the day. Some of the the simple physical workout are sports like Tennis, Badminton, Squash, Volleyball, Basketball etc. where lot of physical movement is involved. You can join a Gym for regular workout or if you don’t want to go out join a good youtube channel and start exercising at home under the guidance of experts. You can also perform Yoga and can do it from your home itself. Again I would like to tell you scientific benefits of physical workout. Exercises or physical workout are natural mood-booster because it releases endorphins, which is a chemical naturally, released in the brain which reduces pain and can make you feel relaxed, full of energy and calm and happy. 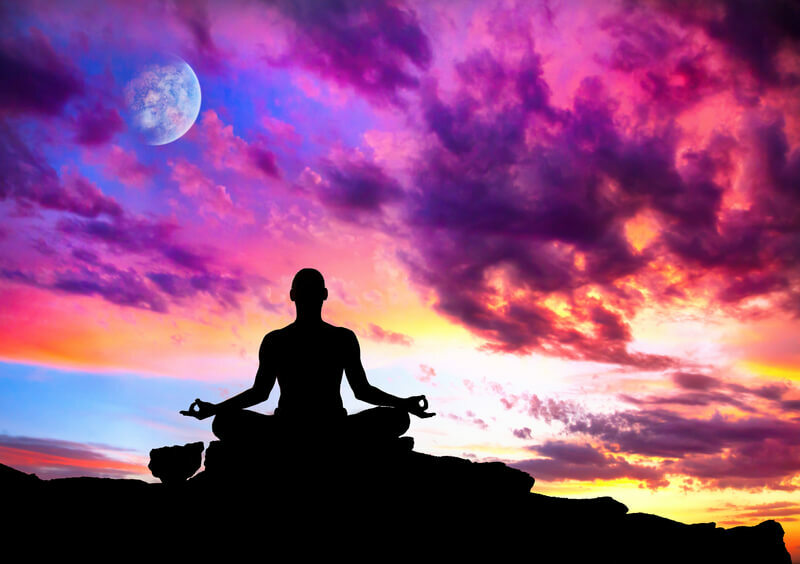 Meditation can make you feel calm and relax through your day-to-day stresses. Meditation is to remain quiet at a quiet place without any distraction or disturbance. To practice meditation find such place, sit in a relaxed manner, close your eyes and breathe deeply and slowly. Focus on your breathing pattern and keep it as even as you can. 15-20 minutes of such work will make you very relax and calm. Make sure to avoid your phone, TV, computer etc. during these 15-20 minutes. I have somewhere read the quote that “Our body is a temple where our soul resides so let us keep the temple clean and healthy”. Friends, we all want to remain happy, calm and to live a long life but we tend to ignore basics. The most basic thing is to take care of your body which is your ultimate friend. If your body is healthy it will be better equipped to handle any stress situation and will keep you calm. I have told you about some physical workouts which will keep you healthy but to perform them you need a healthy body. So work on your basics, eat a balanced diet, sleep well, exercise regularly. Make sure to leave all bad habits such as intake of tobacco, smoking, alcohol, junk food etc. which are so bad for your health and will only contribute in ruining your health over longer periods. Caffeine and soda water are also such things which can give you pleasure in short term but over a longer period it also ruins your body. So better to hydrate yourself with water or any healthy drink. If you want to stay calm in your life it is very important for you to follow a routine. Life is precious, do not waste it by living in a haphazard manner. Maintain a diary and everyday make a to-do list of important things. This will help you both in your professional and personal life. Prepare a daily routine and try to follow as much as you can. The more organized you are the better you are equipped to face any situation which will keep you stress free. Always wake up early in the morning. Waking up early in the morning gives you extra time which makes you more organized and it also good for health. Many people always remain tense because of the situation they are in or by comparing themselves with others. Try to understand that everybody is living his or her own life, some people can be better than you in many aspects. Do not stress yourself by comparing yourself with others. One should always try to achieve excellence but if it is not coming despite sincere efforts, one should not worry about it. There may be tough situations in one’s day to day life such as difficult work environment, issues in personal life etc., but our endeavour should be to overcome difficult situation rather than regretting on it. Sometimes you may not be able to change any situation than it is better to accept the reality and try to cope with that. 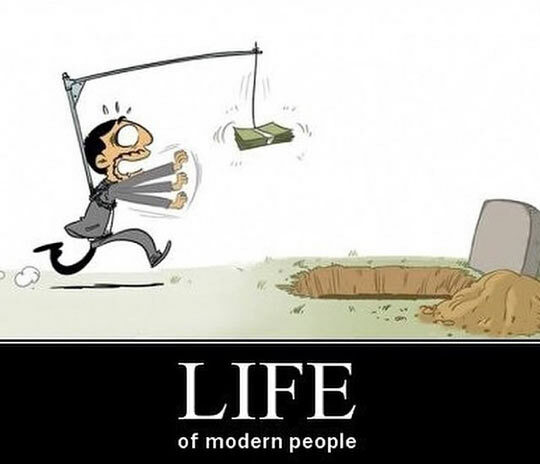 Do not run after the money, money is important thing but not everything. While no one can deny the fact that all of us need money to live a decent life. But many of us are ruining our health and personal life just to accumulate it. That is not the correct approach, so just give it a thought and do not run after accumulating it at the cost of your health. The last point which I want to make here is that it is very important to spend time with your family and near and dear ones. No matter how busy you are, your priority should be to spend as much time as you can spend with your family members and your dear ones. Spending time with the family and close ones gives you strength and happiness which keeps you away from stress and makes you mentally strong. Conclusion: So these were the 7 points which I wanted to share with you on the topic how to stay calm and stress free. I am sure by adopting them or practicing them you can surely become a more balance and calm person and can lead a longer and peaceful life which is the ultimate aim of the mankind.